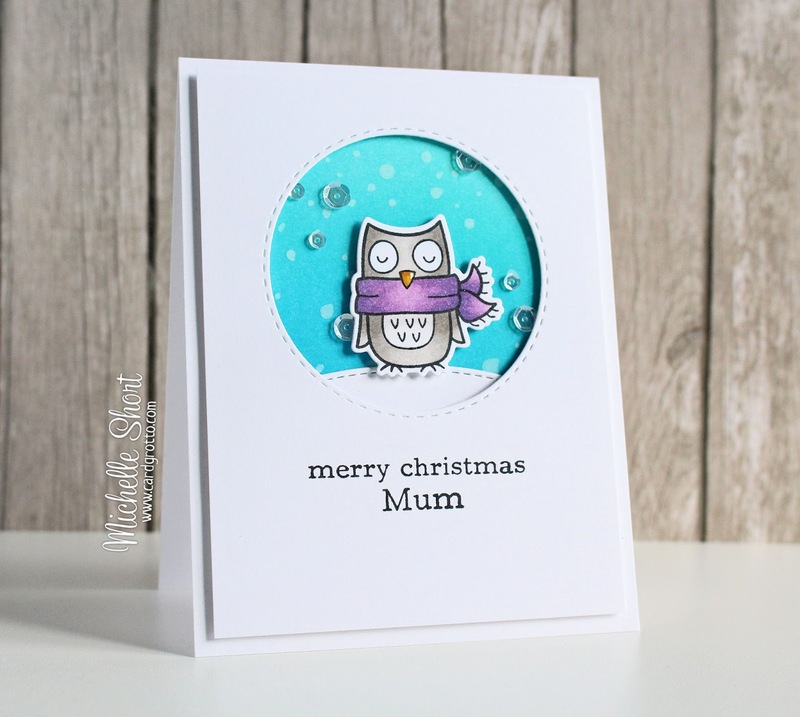 Hello there, if you saw my post yesterday, you will have seen a card using the Lawn Fawn Winter Owl set. After making that card, I thought that I would make another very similar for my Mum. The process for making the card is the same as yesterday, so I won't go over it again but this time I added a little deeper colour for the sky. I also added more snow and coloured the owl's scarf purple. I also added a few Pretty Pink Posh Sparkling Clear sequins and added the extra 'Mum' part of the sentiment using the Clearly Besotted Family Matters stamp set. COPIC MARKERS: W0, W1, W2, W3, W4, W5, Y26, B00 (a little shadow on the eyes), V12, V15, V17. Thank you so much for visiting me again today, I really do appreciate it. I cannot believe how quickly the last two weeks have gone though. I still have so much to do before Christmas Day! Michelle, this is such a sweet card! Love the purple scarf and the scattering of sequins. In case you're not back again before Christmas, I wish you and yours a very Merry Christmas! 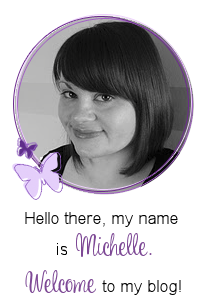 I love this Michelle. Such a cute owl and wonderful design.